From our years of experience in insurance property claims, we have developed strong working relationships with many of the nation's leading insurance companies. Whether your home was damaged by a storm or fire, our knowledge of the insurance industry helps make the process as easy for you as possible. Hoffman Weber will work with your insurance company to ensure your settlement covers the costs of materials and labor you need to get your home or business repaired. You can elect to go above the insurance settlement to upgrade to superior products or have additional work done. For instance, you may have standard shingles now and upgrade to architectural shingles. Or maybe you decide to add gutters when having your roof done to solve a drainage problem that is causing their basement to be damp. Many of our customers seize the opportunity to make their property better than ever before. Call 1-866-970-1133 or click to schedule a free, no-obligation damage estimate with Hoffman Weber. The purpose of this inspection is to see if you have storm damage and to determine whether or not it will warrant an insurance claim. We'll inspect your property and submit an itemized list and price estimate that it would take to repair the damage. If sufficient damage is found, we will recommend that you contact your insurance company to file a property claim. If you have fire damage, call your insurance company immediately, then contact Hoffman Weber to have us inspect the damage before your insurance adjuster arrives. For storm damage, your Hoffman Weber representative will meet with your insurance company's adjuster at your property on the day of your scheduled insurance inspection. Our representative will walk the property with your insurance adjuster during the inspection to ensure we agree on the scope of damage. If you have fire damage, Hoffman Weber and your insurance company may hold separate inspections. You will receive an adjuster's report from your insurance company detailing the damage that was found at your property and how much they are willing to pay for the necessary repairs. Your Hoffman Weber representative will review the estimate to see that the scope and price are adequate for the restoration of your property. If we feel that the proper repairs cannot be completed with the allotted amount of money, Hoffman Weber will submit our estimate for repairs to your insurance provider. We'll deal directly with your insurance company to explain how we arrived at our estimate. This is done to make sure that adequate funds are available for the necessary repairs on your property. After the insurance company and Hoffman Weber have settled on a price for repairs, your representative will work with you to select project materials and decide on a date to begin construction. Your insurance company will set up a payment plan based on the complexity of your claim. You would be responsible for using those payments to pay Hoffman Weber. Upon completion of your project, your Hoffman Weber representative and the local Manager of Operations will do a final walkthrough of your property with you. Hoffman Weber will submit a final invoice to your insurance company to notify them that all repairs are complete. During the closeout appointment, we make sure you are completely satisfied with the work we have done. Your Hoffman Weber representative will collect all payments at this time and provide you with the final closeout paperwork, including a final receipt and warranties. 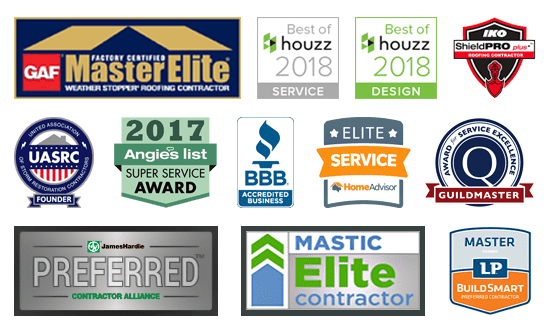 Hoffman Weber Construction is a full-service general contractor serving communities across the U.S. We have years of experience in residential and commercial home improvement, remodeling & storm repair services.